Agnostics, atheists and pantheists, all equally claim that Einstein belongs to them. But, as he belonged to Jewish background, Abrahamic traditions or Monotheism, should certainly have a claim on him. Here is an attempt to understand the religion of Einstein in an Islamic paradigm. It is a religious and scientific biography of a man named ‘the man of the century’ by the Time magazine. This article was originally published in October, 2007 volume of Ahmadiyya Gazette USA. To know the God, “who is visible in the mirror of the laws of nature,” we need to know those laws. It is not possible to fully appreciate God’s creation and sustenance of the universe in physical terms without understanding the basics of physics. The good news is that these concepts are not hard to grasp if we do not dwell on the mathematical precepts supporting the theories of physics. In 1999 Einstein was named Time magazine’s “Person of the Century,” and a poll of prominent physicists named him the greatest physicist of all time. In popular culture the name “Einstein” has become synonymous with genius. It is important to understand the religion of Einstein in the Muslim paradigm so that we can achieve a better “Islam and science” correlation and can communicate better with those who are overawed or enamored with science. Science is the systematic study of nature and different scientists occupy themselves with different questions which may be focused on one element in chemistry or one plant or animal in biology or some other aspect of nature. Einstein did not want to limit the scope of his study. He wanted to focus on the biggest question of all—from where this universe came. 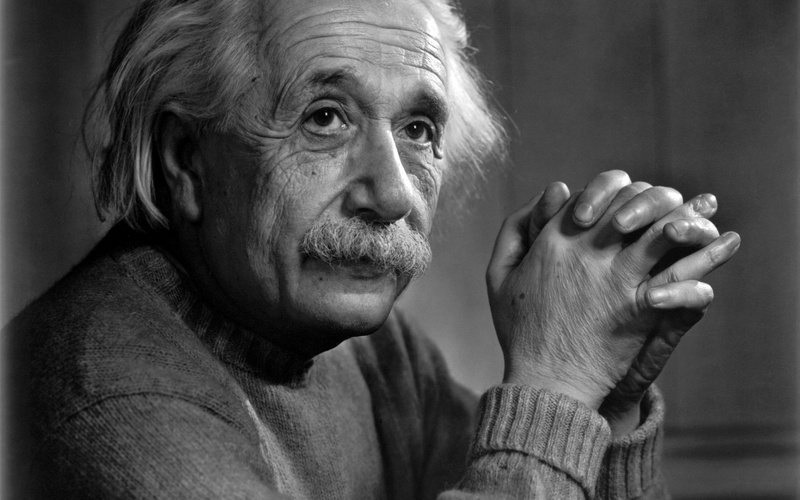 By age 12, Einstein had decided to devote himself to solving the big riddle of the universe. He wanted to occupy himself with the question that if he were God, how he would create the universe. In a later conversation with Esther Salaman, a student of Physics, he said, “I want to know how God created this world. I’m not interested in this or that phenomenon, in the spectrum of this or that element. I want to know His thoughts, the rest are details.” In this article, we embark on a joyful journey of his childhood dream in search of God. 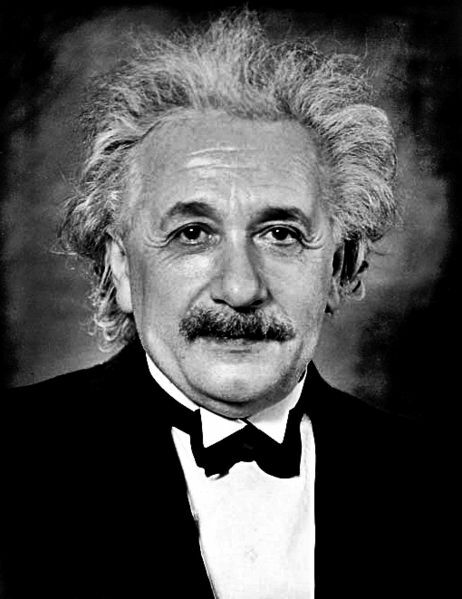 Albert Einstein was born in 1879 at Ulm. When be was four years old his father, who owned an electrochemical works, moved to Munich, and two years later the boy went to school, experiencing a rigid, almost military, type of discipline and also the isolation of a shy and contemplative Jewish child among Roman Catholics—factors which made a deep and enduring impression. From the point of view of his teachers he was an unsatisfactory pupil, apparently incapable of grasping languages, history, geography, and other primary subjects. His interest in mathematics was roused, not by his instructors, but by a Jewish medical student, Max Talmey, who gave him a book on geometry, and so set him upon a course of enthusiastic study which made him, at the age of fourteen, a better mathematician than his instructors. Einstein called it the “holy little geometry book.” At this stage, he began the study of philosophy, reading and re-reading the words of Kant, Hume, Spinoza and other metaphysicians. In 1894, when Einstein was fifteen, his father’s business failed and the Einstein family moved to Italy, first to Milan and then, after a few months, to Pavia. Albert had been left behind in Munich to finish high school, but in the spring of 1895, he withdrew to join his family in Pavia, convincing the school to let him go by using a doctor’s note. Rather than completing high school, Albert decided to apply directly to the Swiss Federal Institute of Technology in Zurich, Switzerland. Without a school certificate, he was required to take an entrance examination. He did not pass. Einstein wrote that it was in that same year, at age 16, that he first performed his famous thought experiment, visualizing traveling alongside a beam of light. Finally, backed by a certificate of mathematical proficiency given by a teacher in Munich, he was able to obtain admission to the Polytechnic Academy at Zurich. Once admitted, the young Einstein became absorbed in the pursuit of science and philosophy and made astonishing progress. After five distinguished years at the Polytechnic he hoped to step into the post of assistant professor, but found that the kindly words of the professors who had stimulated the hope did not materialize. After his graduation in the spring of 1900, he became a Swiss citizen, and worked for two months as a mathematics teacher. He could not find a job in any of the universities, so settled for an employment as an examiner at the Swiss patent office in Bern. With his newfound security, he started working on his scientific pursuits. Early in 1905, Einstein published in the prestigious physics monthly a thesis, “A New Determination of Molecular Dimensions,” that won him a Ph.D. from the University of Zürich. In the same year, his monograph on the special theory of relativity was published in a Swiss scientific journal, the Annalen der Physik. Zurich awoke to the fact that it possessed a genius in the form of a patent office clerk, and promoted him to be a lecturer at the University. Many useful contributions to Physics were published in the same calendar year of 1905. That turned out to be a miracle year in his life. 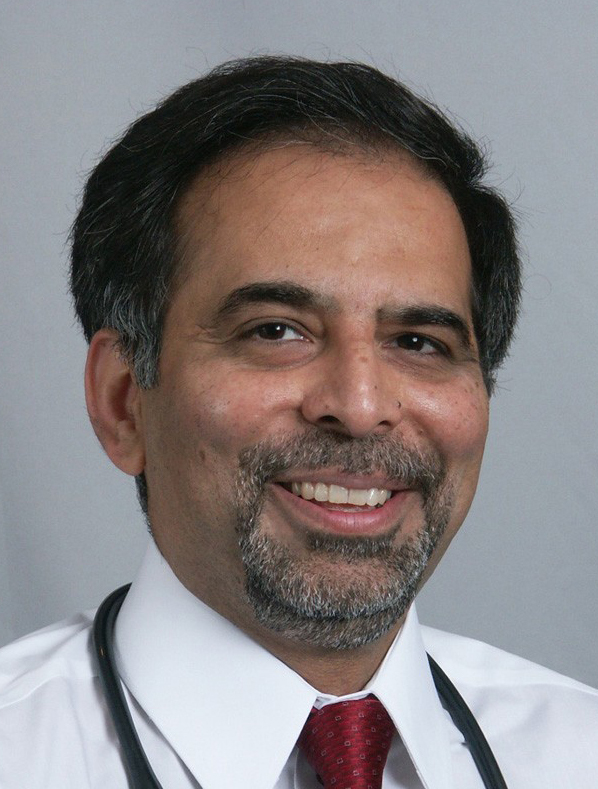 Four years later in I909, the University installed him as Professor. Before we can know his religion we need to know a little about the scientist, Albert Einstein. He developed the special theory of relativity in 1905 and his general theory of relativity in 1916. He won the Nobel Prize for Physics in 1921 for his explanation of the photoelectric effect that was separate and not related to the theory of relativity. In the first 15 years of the 20th century, Einstein was recognized in his own time as one of the most creative intellects in human history. His theories proposed entirely new ways of thinking about space, time, and gravitation. These theories were a profound advance over the old Newtonian physics and revolutionized scientific and philosophical inquiry. Einstein postulated that light is composed of individual quanta (later called photons) that, in addition to wavelike behavior, demonstrate certain properties unique to particles. This understanding of the dual nature of light was needed to explain some of the phenomena that had been observed in study of light. For example it was known that when some solids were struck by light, they emitted electrons. This phenomenon is called the photoelectric effect. The wave theory of light did not explain this phenomenon, but conceptualizing the light to be also particle beautifully solved this riddle. The special theory of relativity was proposed in 1905 by Albert Einstein in his article “On the Electrodynamics of Moving Bodies.” Einstein’s work confirmed the earlier conclusions of Hendrik Lorentz and Henri Poincaré. Some three centuries earlier, Galileo’s principle of relativity had stated that all uniform motion was relative, and that there was no absolute and well-defined state of rest; a person on the deck of a ship may be at rest in his opinion, but someone observing from the shore would say that he was moving. Einstein’s theory combines Galilean relativity with the postulate that all observers will always measure the speed of light to be the same no matter what their state of uniform linear motion is. Before Einstein it was thought that time is a constant no matter where you were and no matter what speed you were traveling. Einstein proposed that it was the speed of light that was a constant and that time variable and depended on the speed of the observer and the observed. In a nutshell, this was his special theory of relativity. Till the time of Einstein mass was considered to be physical and tangible and energy nebulous, but he discovered the famous equation E= mc2. This relationship or equation is now re­garded as the foundation of theoretical physics and modern tech­nology, and thanks to the present media, this equation has risen to the level of common knowledge. Here ‘E’ is the energy, ‘m’ is the mass and ‘c’ is the speed of light. As an inference from this equation, even a small amount of mass has a very large energy, given the extremely high speed of light. Every gram of matter (of any kind) has stored within it the equivalent of 25,000,000 kilowatt hours of energy. His theory of General relativity was an explanation of what is the cause of gravity. From Sir Isaac Newton, we know that gravity keeps the planets in motion and keeps our feet on the surface of earth, but no one knew the underlying cause or source of this. Einstein’s theory of general relativity unifies special relativity, Newton’s law of universal gravitation, and the insight that gravitational acceleration can be described by the curvature of space and time. Einstein, in simple, mathematical models, showed that large planets like the sun cause a distortion in time and space around it and that this creates a gravitational pull. In 1919, Sir Arthur Eddington announced that observations of stars near the eclipsed Sun confirming general relativity’s prediction that massive objects bend light. Since then, many other observations and experiments have confirmed many of the predictions of general relativity. Last but not the least, a better understanding of gravity has helped enable mankind to travel into space. International fame came to Einstein when, in November, 1919, the Royal Society of London announced that its scientific expedition to the island of Príncipe, in the Gulf of Guinea, had photographed the solar eclipse on May 29 of that year and completed calculations that verified the predictions made in Einstein’s general theory of relativity. Few could understand relativity, but the basic postulates were so revolutionary and the scientific community was so obviously bedazzled that the physicist was acclaimed the greatest genius on Earth. In Shanghai, a cable reached him announcing that he had been awarded the 1921 Nobel Prize for Physics “for your photoelectric law and your work in the field of theoretical physics.” Relativity, still the centre of controversy, was not mentioned. In the spring of 1921, he visited USA. He was frequently treated like a circus freak and feted from morning to night, Einstein nevertheless was gratified by the standards of scientific research and the “idealistic attitudes” that he found prevailing in the United States. Allah is the Creator, the Maker and the Fashioner of the universe. Einstein was fully appreciative of this and used the phrase Cosmic Creator. Given his scientific and intellectual authority people from different religious or philosophical denominations have tried to claim him. In total objectivity, however, he was a deist. A deist believes in a supernatural intelligence, but one whose activities were confined to setting up the laws that govern the universe in the first place. The deist God subsequently does not intervene in the universe and has no specific interest in human affairs. If we look at all the writings and quotes of Einstein in a broader perspective, it becomes amply clear that he was a deist. The founding fathers of the USA were also mostly deists. For a better understanding, we can place these terms on a continuum for accuracy of nomenclature. Deism can also be named as Naturalistic Theology. The monotheists believe in a Personal God that is not part of the material universe, but has an intimate interest in human affairs. Pantheism, according to the Encyclopedia Britannica, is the doctrine that the universe, conceived of as a whole, is God and, conversely, that there is no God but the combined substance, forces, and laws that are manifested in the existing universe. Most perceptions of Pantheism are pluristic in the sense that they do not emphasize the Unity of God. Einstein was not an atheist by any stretch of the imagination. He would actually get angry when people would make such an insinuation. He believed in Naturalistic Theology. One might say that he had his priorities well organized, because the concept of a Personal God was preferable to him over one of atheism. He declared, “A belief in a Personal God seems preferable to the lack of any transcendental outlook to life.” Let us examine some of his views that will place him in the category of a deist. Einstein said, “I am not an atheist. I do not know if I can define myself as a pantheist. The problem involved is too vast for our limited minds.” Let us examine some of his comments that highlight his sense of awe and humility in the presence of God of nature. Einstein’s own science was emanating from his childhood dream to know where this universe came from or if he were God, how he would create the Universe. The authors that Einstein was reading at age 12, had suggested that rather than God having created man in His image the converse was true, namely, man created God in his image. Such insinuation is called anthropomorphic concept of God. One of these philosophers was Ludwig Buchner. His critique begins with a historical survey of religions in which animals or combinations of animals and humans are glorified and deified. It concludes with Xenophanes’ well-known statement, “If oxen or lions had hands and could paint, they would undoubtedly represent their gods in the form of oxen or lions.” It is psychologically understandable that the reading of such texts, at the impressionable age of 12, had a profound impact on Einstein’s mind. It led him to the conclusion that “much in the stories of the Bible could not be true.” He consequently lost faith in the Bible and renounced his erstwhile religiosity as naive. This is an unfounded claim that Einstein hoped people would accept on the basis of his intellectual authority. Hazrat Mirza Tahir Ahmad, Khalifah Tul Masih IV has devoted two chapters in his book Revelation, Rationality, Knowledge and Truth, namely, “Secular Viewpoints Examined” and “The Concept of God among the Aborigines of Australia,” to answer such criticisms against the divine nature of religion in its pure form. He writes, “So far we have attempted to disprove the currently popular theories of Western sociologists, who by a strange logic of their own, have tried to prove that the idea of God is a creation of man rather than man being His creation. Their so-called evidence in support of their theory is nothing but mere conjecture.” He builds his case on the study of Aborigines of Australia. He says, “Let us now draw the attention of the reader to the history of religion in Australia. It is a continent whose culture, social and religious history can be traced back to at least twenty-five thousand years. Many scholars extend it to forty thousand years or beyond. According to some researchers, however, this period could extend even to a past as remote as one hundred and thirty thousand years of unbroken, unadulterated and undisturbed growth of religion. The Australian continent is not only unique in having been completely broken off from the rest of the world, it is also unique in containing within it hundreds of social islands, each comprising tribes that remained entirely isolated from each other.” He further stresses, “It is known that between five hundred to six hundred such tribal units had their own independent history of social and religious development, throughout an age of twenty-five to forty thousand years, in complete isolation from each other except for occasional marginal contacts at the boundaries of their territories.” He concludes his argument by saying, “In all the tribes of Australia, without exception, there exists a belief in one Supreme Power, who is the first cause of all creation. Their descriptions differ on minor points and their terminology varies slightly, but according to the consensus of the sociologists and anthropologists, they all invariably believe in the existence of that ultimate first cause called ‘High Gods’—another name for Allah, God, Brahmâ and Parmatama etc. The central idea of one eternal Supreme Creator remains unadulterated by whatever other superstitions they may have entertained. The superstitions change from tribe to tribe, but not their belief in one God. Nowhere in Australia could the sociologists find any evidence of a gradual evolution of the idea of God.” This book is available online at Alislam.org. One needs to search the name of the book in the search menu on the website. “The social impulses are another source of the crystallization of religion. Fathers and mothers and the leaders of larger human communities are mortal and fallible. The desire for guidance, love, and support prompts men to form the social or moral conception of God. This is the God of Providence, who protects, disposes, rewards, and punishes; the God who, according to the limits of the believer’s outlook, loves and cherishes the life of the tribe or of the human race, or even life itself; the comforter in sorrow and unsatisfied longing; he who preserves the souls of the dead. This is the social or moral conception of God. “The Jewish scriptures admirably illustrate the development from the religion of fear to moral religion, a development continued in the New Testament. The religions of all civilized peoples, especially the peoples of the Orient, are primarily moral religions. The development from a religion of fear to moral religion is a great step in peoples’ lives. And yet, that primitive religions are based entirely on fear and the religions of civilized peoples purely on morality is a prejudice against which we must be on our guard. The truth is that all religions are a varying blend of both types, with this differentiation: that on the higher levels of social life the religion of morality predominates. Again as Einstein does not believe in Personal God or in revelation, he is attributing all religious phenomena to human activity. “But there is a third stage of religious experience which belongs to all of them, even though it is rarely found in a pure form: I shall call it cosmic religious feeling. It is very difficult to elucidate this feeling to anyone who is entirely without it, especially as there is no anthropomorphic conception of God corresponding to it. “The individual feels the futility of human desires and aims and the sublimity and marvelous order which reveal themselves both in nature and in the world of thought. Individual existence impresses him as a sort of prison and he wants to experience the universe as a single significant whole. The beginnings of cosmic religious feeling already appear at an early stage of development, e.g., in many of the Psalms of David and in some of the Prophets. Buddhism, as we have learned especially from the wonderful writings of Schopenhauer, contains a much stronger element of this. “The religious geniuses of all ages have been distinguished by this kind of religious feeling, which knows no dogma and no God conceived in man’s image; so that there can be no church whose central teachings are based on it. Hence it is precisely among the heretics of every age that we find men who were filled with this highest kind of religious feeling and were in many cases regarded by their contemporaries as atheists, sometimes also as saints. Looked at in this light, men like Democritus, Francis of Assisi, and Spinoza are closely akin to one another. This third stage of Einstein, indeed has a substantial portion of truth in it, when examined in an Islamic paradigm. Promised Messiahas writes about man’s pursuit of the creator in his book, Hakika Tul Wahee, “Let it be clear that man has been created with the ultimate purpose to recognize his Creator. Man is supposed to have full awareness of his Creator and to understand His attributes to a level that his cognizance reaches a degree of certainty. Therefore, Allah has designed the human mind with two different talents. On the one hand, he has been given intellectual abilities. As a result of these abilities he is able to study Allah’s creations, and by observing divine purpose in every particle of nature, by studying the organization and order in the natural systems of the universe, he is able to fully realize that this elaborate infra-structure of the earth and the heaven cannot be by itself, without a creator. He can conclude that there should be a Designer and a Maker of all this!” Promised Messiahas does not call it the final destination. However, it seems that for Einstein it is the final rationale and the last stop of the train of religious development. For the ease of communication, this state of religious experience or condition of mind, as described by Promised Messiahas, can be called Naturalistic Theology. He is describing it as the preliminary phase of religious development of an individual. He continues his writing in Hakika Tul Wahee, “On the other hand Allah has gifted man with spiritual powers and perceptions as well. This dual gift from Allah is for the reason, that, whatever limitations and short comings are left from the domain of intellectual capacity should be satisfied with the spiritual abilities. It is obvious that intellectual abilities given to man are only able to study the earth and the heaven and observing individual details declare that this profound and organized universe should have a creator. It is beyond the capacity of the intellectual abilities to go further and declare that such a Creator of this universe does exist! It is not within their scope to announce that there is indeed such a Maker!” The life and religion of Einstein is indeed a testament to the statement of Promised Messiahas, “It is not within the scope of philosophers to announce that there is indeed such a Maker!” Despite being the most astute observer of the nature, Einstein never believed in a Personal God. So we cannot find God in His true glory without the direction of the Prophets of God. In other words, Einstein’s cosmic religion is no more than Naturalistic Theology as described in these quotes of Promised Messiahas. The Guided One, emphasizing the need of this spiritual facility of human mind, concludes, “It is, therefore, self evident that man’s comprehension needs to advance to the point where he knows that there is indeed a Creator. A mere inference that there aught to be a creator cannot be considered to be a complete understanding.” It is through spiritual abilities that mankind finds certain knowledge about its Creator. This certainty of knowledge mankind owes to the prophets of God and not to the philosophers of nature. Who was this philosopher Spinoza? He was a Dutch-Jewish philosopher, the foremost exponent of 17th-century Rationalism. He was a strict advocate of determinism or causality in the physical universe an idea that is of seminal importance in the writings of Einstein, also. According to Einstein, “Spinoza was the first to conceive of extending this idea to an all-pervasive determinism to human thought, feeling and action.” Given this paradigm, no room was left for Divine revelation. So a refusal of a Personal God was a natural consequence of this extreme and strict determinism. Einstein often reaffirmed his belief that cosmic religious experience “is the strongest and noblest driving force behind scientific research,” and that Kepler and Newton had been able to spend long years of solitary work to unravel the secrets of celestial mechanics only because they had been imbued with such a religious feeling. Einstein’s awareness of the Divine could be called Naturalistic Theology. In light of the teachings of Quran, if such awareness of the Divine is combined with personal humility and service to mankind, then one is led inevitably to a Personal God. Nobody, certainly, will deny that the idea of the existence of an omnipotent, just, and omni beneficent personal God is able to accord man solace, help, and guidance; also, by virtue of its simplicity it is accessible to the most undeveloped mind. But, on the other hand, there are decisive weaknesses attached to this idea in itself, which have been painfully felt since the beginning of history. That is, if this being is omnipotent, then every occurrence, including every human action, every human thought, and every human feeling and aspiration is also His work; how is it possible to think of holding men responsible for their deeds and thoughts before such an almighty Being? In giving out punishment and rewards He would to a certain extent be passing judgment on Himself. How can this be combined with the goodness and righteousness ascribed to Him? Einstein had so rightly said, “Science without religion in lame, religion without science is blind.” But little did he realize that the verdict of this saying would weigh heavily on thirty five years of his professional effort from 1920 till the time of his death in 1955. Because of his views on a Cosmic Creator who cannot influence the universe, and because of his strict belief in determinism, he had gone against the developments of quantum mechanics. His religious prejudices were dictating his science. As a result, his science became lame and it seemed that for 35 years or more, this greatest genius of the twentieth century, was following a lame folly. He ignored the progress in quantum mechanics and continued to work for decades on a theory that would be all-embracing and that would defeat quantum mechanics. But this burning desire was not to come true; he had to depart with an unfinished symphony. When we compare the fruits of his early professional life with the subsequent thirty five years, the contrast becomes stark and painful. He had lost touch with the modern research in Physics. In the words of some of the physicists, he had become a relic, a historical artifact, who was out of synchrony with modern research. Out of his initial work on the dual nature of light had come the newborn child of quantum physics championed by scientists like Heisenberg and Neils Bohr. But this was no consolation to Einstein. He failed to accept quantum mechanics. He felt that it clashed with his view of a determinate God. This lead to his famous quote, “I, at any rate, am convinced that He does not throw dice,” often paraphrased as, “God does not play dice.” Therein lay his fall! In his self-indulgence, he felt he could now read God’s mind. He no longer possessed the humility that Niels Bohr was able to demonstrate, in telling Einstein, to stop telling God what to do with His dice. While he was enjoying the public acclaim and celebrity status, he was facing professional ridicule among his peers. He had denied quantum mechanics its due place in science. As a result, he pushed himself into the past. The way he intended to defeat quantum mechanics was by mathematically showing the relationship between electromagnetism and gravitation. This turned out to be a fruitless quest for him that occupied the rest of his life. Einstein’s peers generally agreed quite early that his search was destined to fail because the rapidly developing quantum theory uncovered an uncertainty principle in all measurements of the motion of particles: the movement of a single particle simply could not be predicted because of a fundamental uncertainty in measuring simultaneously both its speed and its position, which means, in effect, that the future of any physical system at the subatomic level cannot be predicted. Einstein rejected the idea that these theories were absolute and persevered with his theory of general relativity as the more satisfactory foundation for future discoveries. He was widely quoted on his belief in a precisely engineered universe: “God is subtle but he is not malicious.” On this point he parted company with most theoretical physicists. At some level, Einstein did understand the limitations of human mind, as he said, “Try and penetrate with our limited means the secrets of nature and you will find that, behind all the discernible concatenations, there remains something subtle, intangible, and inexplicable. Veneration for this force beyond anything that we can comprehend is my religion. To that extent I am, in point of fact, religious.” But his insistence on adhering to Spinoza’s determinism kept him from seeing the light of quantum mechanics. Compared with his renown of a generation earlier, Einstein was virtually neglected and said himself that he felt almost like a stranger in the world. If Einstein and Newton had been right, and the final word, there would have been no inlet for God to grant prayers or to effect and influence the world. But this was not to be! How could Allah have knowledge of all things? How could he be the Manifest and the Hidden at the same time? How could He influence the universe in ways that did not clash with the concepts of physics at every step of the way? How could He grant prayers of His humble servants? If the universe was governed by the Laws of Physics of Newton and Einstein how could man be free? Quantum theory or quantum mechanics was the magical wand revealed to the prophet of physics, Werner Heisenberg, to solve all these mysteries and yet leave a new untold mystery! A mystery of physics that Einstein would refuse to accept or even acknowledge all his life. Quantum mechanics is a branch of science which was developed in the first three decades of the last century. It deals with the behavior of matter and light on the atomic and subatomic scale. It attempts to describe and account for the properties of molecules and atoms and their constituents — electrons, protons, neutrons, and other more esoteric particles such as quarks and gluons. These properties include the interactions of the particles with one another and with electromagnetic radiation (i.e., light, X-rays, and gamma rays). In the era prior to quantum theory, there was only one aspect of uncertainty or indeterminacy, which rose from not knowing the “initial conditions.” If the “initial conditions” were known then, given the laws of Newton and Einstein, one could always determine, for example, the path of a projectile or a planet. It was thought that these laws applied equally to subatomic particles. So strong was the belief in determinism that Pierre Laplace said that given the knowledge of every atomic motion, the entire future of the universe could be mapped out. This was soon to change. The concepts and the consequences of quantum theory are accordingly difficult to understand and to believe. Its concepts frequently conflict with common-sense notions derived from observations of the everyday world. There is no reason, however, why the behavior of the atomic world should conform to that of the familiar, large-scale world. It is important to realize that quantum mechanics is a branch of physics and that the business of physics is to describe and account for the way the world — on both the large and the small scale — actually is and not how one imagines it or would like it to be. Werner Heisenberg was a German physicist, who while still in his early twenties, was among the handful of young bright physicist who created quantum mechanics. He received a Nobel Prize at an age of 32, but is best known for his articulation of the uncertainty principle, in 1927. Neils Bohr contributed to some of these new ideas also. Their contributions lead to a broader theory called quantum theory. Albert Einstein belonged to the other camp who took issue with these concepts. According to Bohr, the fuzzy and nebulous world of the atom only sharpens into concrete reality when an observation is made. In the absence of an observation, the atom is a ghost. It only materializes when you look for it. And you can decide what to look for. Look for its location and you get an atom at a place. Look for its motion and you get an atom with a speed. But you can’t have both. The reality that the observation sharpens into focus cannot be separated from the observer and his choice of measurement strategy. If all this seems too mind-boggling or paradoxical to accept, Einstein would have agreed with you. But the big shock came from the experiments in the sixties and seventies which proved that Bohr wins, and Einstein loses. The uncertainty of the micro-world is intrinsic. Events without causes, ghost images, reality triggered only by observation—all must apparently be accepted by experimental evidence. The universe is not, after all, a clockwork machine whose future is completely determined. The world is ruled less by rigid laws than by chance. The uncertainties, moreover, are not merely a result of our ignorance of ‘initial conditions’, as was once thought, but an inherent property of matter. So unpalatable did this inherent chanciness of nature seem to Albert Einstein that he refused to believe it throughout his life, dismissing the idea with the famous retort ‘God does not play dice’. This notwithstanding, the vast majority of physicists have come to accept it. Despite the uncertainty at the quantum level, on a larger physical scale and in a pragmatic manner, we find that the Newtonian and Einsteinian laws work extremely well in the physical world. On this larger scale we all trust these principles every time we ride in an elevator or fly in a plane. However, the concepts of quantum theory have been utilized in the discovery and manufacturing of transistors and lasers. Transistors, in turn have revolutionized the electronics industry and more recently computer industry. So the concepts of quantum mechanics are not merely theoretical but have found pragmatic applications. In other words, quantum physics now tells us that there is a boundary around our ability to grasp reality. We cannot say why it is there, but that does not make the boundary any less real, or any less consistent with the idea that it was the necessary handiwork of a Creator who is Al Baatin or the Hidden, Who fashioned it in a manner that it has a dual nature. There is a macro or larger aspect that is comprehensible and yields to human study and there is a quantum level that is hidden to a degree from human perceptions. This dual nature allow us the freedom and independence consistent with His design. This is the attribute Al Baatin of Allah that combines with it the attribute Al Sameeh. Classical physics had prepared everyone to think of physical events as governed by fixed laws, but the quantum revolution quickly destroyed this Newtonian or Einsteinian certainty or strict determinism. Uncertainty is the fundamental ingredient of the quantum theory. Does every event have a cause? In classical physics the fundamental belief is in a cause-effect chain. The quantum factor, however, apparently breaks the chain by allowing effects to occur that have no cause. How complete can knowledge be when it cannot link cause and effect for something so basic as the movement of an electron? How can it claim fully to describe the universe when it cannot tell me whether something as humble as a single atom of carbon will persist into the next instant or disintegrate in a burst of radioactive energy? If the behavior of that matter, at all levels, were to be governed by laws making the outcomes of all natural processes inherently predictable, then the entire structure of that universe would be a self-contained and self-sufficient clockwork. Two profound problems would result. The Creator would be unable to intervene, except by suspending the laws of His world in a visible way. And what is perhaps more important, His creatures could not have the freedom He desired for them. How could they, if they were only machines, made up of bits and pieces of matter following precise laws? If there is a God, consider what masterstroke quantum indeterminacy was. To create an orderly material world that didn’t require constant intervention, the Creator had to make things obey defined laws. But if those laws were to run all the way down to the building blocks of matter, they would also have denied free will. They would have made it possible for His creatures (eventually) to figure out that all past events and all future ones could be inferred from a single reading of the state of the physical world at any given time. Remarkably, what quantum indeterminacy does is to deny us the possibility of that ever happening. We cannot uncritically extrapolate the details of the present backwards to learn the past; and the future is what we make of it. Were this not the case, the future would be what our particles make of us. Instead, we are inextricably locked into the present, with our thoughts, words, and deeds helping to construct the future, a future that remains open to our own choices, to a world of possibilities. What a stroke of Divine genius! The quantum indeterminacy not only allows for the free will, but also a portal for Divine Providence. As had been predicted in the throne verse of the Holy Quran, “Allah knows what is before them and what is behind them; and they encompass nothing of His knowledge except what He pleases,” the universe, at a quantum level, is bound up in a series of inherently unpredictable events that science, even in principle, can never master completely. The speed of light is the fastest speed that can be imagined as far as the material world is concerned, yet it takes light, billions of years to travel from one end of the universe to the other. But, Allah can influence any part of the universe instantaneously, as has been said, “Indeed, We have created everything in due measure, and our command is carried out instantaneously, like the twinkling of any eye.” (54:50-51) Moreover, Allah is omnipresent and He is extremely close to each individual man, “And assuredly, We have created man and We know what his mind whispers to him, and We are nearer to him than even his jugular vein.” (50:17) These verses lend support to the concept that Allah influences the world at the subatomic or the quantum level. Here, Allah is raising the tangible parts of the universe and their deeper understanding in the form of the science of sun and moon and gravity as a proof of the life after death. So the separation between science and religion is somewhat artificial and one needs proficiency in both to fully comprehend the Holy Quran. The first part of the quote, “science without religion in lame, religion without science is blind,” can be understood from the shortcomings of a genius like Einstein, that have been described above. His inability to understand the merit in quantum mechanics, was certainly not intellectual, but stemmed from an erroneous concept of God. He was fixed on the idea that Allah cannot influence this universe even when He so willed. In other words, he had a limited concept of the attributes of Allah. Any conceptualization of physics that defies the attributes of Allah as explained in the Holy Quran is likely to fall short and will be proven wrong in due course of time. The second part of the above quote of Einstein, “science without religion in lame, religion without science is blind,” can be understood from the fact that the Holy Quran urges us to reflect on the Laws of Nature. It draws examples from cosmology and physics among other branches of science, as signs for all men of understanding. Seven hundred and fifty verses of the Quran (almost one-eighth of the Book) exhort believers to study Nature, to reflect, to make the best use of reason in the search of the ultimate, the Creator, the Almighty Allah. Max Jammer. Einstein and religion, physics and theology. Princeton University Press, 1999. Page 110-111. Jerry Mayer and John Holms. Bite-size Einstein: Quotations on just about everything from the greatest mind of the twentieth century. St Matin’s Press. New York. Tableegh-e-Risalat, Roohani Khazain Vol. VI, p. 15. Also mentioned in Essence of Islam, under the heading Allah. Einstein A, Infeld L. The evolution of Physics. Simon and Schuster, New York, 1938. Page 27. Friedrich Durrenmatt. Albert Einstein. Diogenes Verlag, Zurich, 1979. Page 12. E Salaman. A talk with Einstein. The Listner 54 , 1955. Page 132. Albert Einstein. The world as I see it. Published by The Book Tree, 2007. Page 29. Max Jammer. Einstein and religion, physics and theology. Princeton University Press, 1999. Page 126. Max Jammer. Einstein and religion, physics and theology. Princeton University Press, 1999. Page 149. The new quotable Einstein. Collected and edited by Alice Calaprice. Princeton University Press, 2005. Page 195-196. Albert Einstein. The world as I see it. Published by The Book Tree, 2007. Page 5. Max Jammer. Einstein and religion, physics and theology. Princeton University Press, 1999. Page 73. Albert Einstein. Ideas and opinions. A collection of his writings. This quote is from an address at Princeton Theological Seminary, May 19, 1939. Wing’s books, New York, 1954. Page 52. The new quotable Einstein. Collected and edited by Alice Calaprice. Princeton University Press, 2005. Page 199-200. Max Jammer. Einstein and religion, physics and theology. Princeton University Press, 1999. Page 141. Albert Einstein. Religion and science. Written expressly for the New York Times Magazine. Appeared there November 9, 1930 (Pp.1-4). The German text was published in the Berliner Tageblatt, November 11, 1930. It is reproduced in Ideas and Opinions by Albert Einstein. Published by Wings Books. The new quotable Einstein. Collected and edited by Alice Calaprice. Princeton University Press, 2005. Page 196. Max Jammer. Einstein and religion, physics and theology. Princeton University Press, 1999. Page 148. Max Jammer. Einstein and religion, physics and theology. Princeton University Press, 1999. Page 144. Max Jammer. Einstein and religion, physics and theology. Princeton University Press, 1999. Page 147-148. Max Jammer. Einstein and religion, physics and theology. Princeton University Press, 1999. Page 74. Albert Einstein. The world as I see it. Published by The Book Tree, 2007. Page 28. Max Jammer. Einstein and religion, physics and theology. Princeton University Press, 1999. Page 68-69. Max Jammer. Einstein and religion, physics and theology. Princeton University Press, 1999. Page 80. Max Jammer. Einstein and religion, physics and theology. Princeton University Press, 1999. Page 85. Albert Einstein. Ideas and opinions. A collection of his writings. This quote is from an address at Princeton Theological Seminary, May 19, 1939. Wing’s books, New York, 1954. Page 46-47. Max Jammer. Einstein and religion, physics and theology. Princeton University Press, 1999. Page 85-86. Albert Einstein. Ideas and opinions. A collection of his writings. This quote is from an address at Princeton Theological Seminary, May 19, 1939. Wing’s books, New York, 1954. Page 48. The new quotable Einstein. Collected and edited by Alice Calaprice. Princeton University Press, 2005. Page 195. Promised Messiahas. Barkat Ul Dua (Urdu) as published in Roohani Khazain. Page 27. Urdu pdf file is available at Alislam.org. Paul Davies. Other Worlds. Penguin Science, 1980. p 13 and 28. Paul Davies. God and the new physics. Simon and Schuster, 1983. p 102-103. Paul Davies. God and the new physics. Simon and Schuster, 1983. p 106-107. Brian Clegg. The God effect: Quantum entanglement, science strangest pheonomenon. St Martin’s Press, 2006. Page 21. Paul Davies. Other Worlds. Penguin Science, 1990. p 33-34. Paul Davies. God and the new physics. Simon and Schuster, 1983. p 102. Kenneth R Miller. Finding Darwin’s God. Cliff Street Books (Harper Collins), paper back edition 2000, p. 250-251. Promised Messiahas . Barkat Ul Dua (Urdu) as published in Roohani Khazain. Page 27. Urdu pdf file is available at Alislam.org. Albert Einstein. Ideas and opinions. A collection of his writings. This quote is from an address at Princeton Theological Seminary, May 19, 1939. Wing’s books, New York, 1954. Page 46. For comments in the original posting of this article, please click here.